In fact that’s only half true. The National Secular Society won’t disclose its membership. But it gets a disproportionate amount of time because it can rely on the BBC to give it airtime, with its clumsy editorial policy of ‘balancing’ opposite points of view-irrespective of their merits or numbers they represent. You can tell when the old secular blokes and the laptop are feeling unloved and unnoticed; that’s the moment when they put out their latest call for the disestablishment of the Church of England. But whether or not it was the Queen as Head of State talking about Jesus, or just their boredom, they have released yet another report. I have never understood quite why they are so cross about the bishops belonging to and making speeches in the House of Lords. Like all legislative debating chambers (including the UN), endless self-important people say things no one notices or remembers except on those very few occasions when they touch a raw nerve with intelligence, wit and perception. And even then the media have to have a good reason to publicise it. This is not something that much describes the contributions of the bishops in the House of Lords, so why are the NSS even bothered? Perhaps, as with many spiritual people, they have an innate sense of the power of symbolism, and sense at least the potential for speaking prophetically to the nation there, even if the bishops are only very seldom up to the task. They are afraid of what they might say. But this complaint about bishops in the House of Lords is made by the NSS almost every time they make a public statement. No one else cares, and the moment passes, until, Groundhog Day-like, they say it again, the BBC pretends it is news, etc., etc. However, the second thing they said this time begins to be interesting and matter very much. They are cross about the preeminent role the Church plays in national ceremonies, especially the Coronation. The Queen, ‘may she live for ever’, won’t live for ever. The moment she dies, and the (probable) new Carolingian reign is upon us, may make Brexit look like a tea party. Despite the empty rhetoric of the two primitive provocations in our infantile and unsophisticated public discourse which the NSS bring to this report – “it is unfair and unequal” – it is neither. It is a little like complaining about the alphabet on public signs or in the news media. Why should it be the Latin alphabet? It is unfair on the Greek, Arabic, Cyrillic, Chinese or Jewish alphabet (not that any progressive cares about being unfair to the Jews – that is de rigueur). If you want to use the criteria ‘fairness and equality’ on public signage and written materials, you can; but at the cost of coherence and identity. Despite the facileness of the growing cultural Marxism, people are not quite yet that stupid – or conditioned. In all the artificial debate about ‘British Values’, which we have brought up to avoid telling the truth about being unable to reconcile the clash of Muslim culture with Christian culture, the Christian Monarchy is a British Value par excellence. Few people will dare say so, because few dare face the implications of the clash between the different value systems vying for influence in our New Britain. Few dare face the emerging question of what happens when you have to choose between the absolute claims of Christianity and those of Islam in Britain. And that may be partly why secularism has such a wind behind it. It can pretend that all values are of equal worth and relativism rules. And yet, especially at Christmas, we know that can’t be true. There is a genius to a Christian monarchy, a charism to our Queen, envied across the world by secular republics especially. What they would like, of course, would be the beliefs of secular republicanism married to the values, power and symbolism of Christian monarchy, and especially to the person of Elizabeth II, the expression of Christian monarchy. But they will have to choose. You can’t have both. And that is where and when a profound crisis will emerge in Britain. Not because two old men and a laptop are media-starved and bored or irritated by Christmas, but because, sadly, Elizabeth will die soon and Charles will need to be crowned Monarch and swear his Coronation Oath in order to reign as King. Will there still be a Christian anointing and coronation for Charles, with its profoundly Christian oaths of service (which are SO unequal and unfair and unrepresentative)? 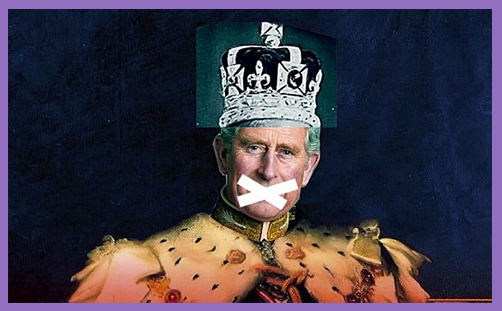 Will Charles have to have four ceremonies to gain monarchical legitimacy? A Christian one that continues in the unbroken tradition of a thousand years; a Muslim one in which Charles invokes sufficient elements of Islam to make the Muslim community feel he represents them (God help him in the future when they find he doesn’t); a multi-faith mush of value systems ranging from the spiritual politics of ecology to homeopathy for everyone else who is spiritual but not religious – as the mantra goes? And a secular one reflecting ‘British Values’, so the 40 or 50 or 60 per cent or however many people say they don’t happen to believe in a god at the moment a Gallup Poll asks them the question, also feel represented? But what is clear is that the establishment of the Church of England and the Christian Monarchy flourish together or fall together. This is complicated further by the fact that the Church of England ought not to want to be established. Of course, it confers a few advantages. Archbishop Justin Welby gets more airtime representing his 750,000 (and decreasing) Anglicans than the more dignified and substantial Cardinal Vincent Nichols his two million (and growing) Roman Catholics. But Jesus made it clear you cannot serve God and Mammon – you cannot serve the Kingdom of Heaven and the state. You might just make a small and tenuous case at those moments when the state claims to be momentarily Christian, but not easily and not well. At the heart of Christianity is the choice to take the narrow road over the broad one; the spirit over the flesh; forgiveness over the rights of revenge. The way is hard, and the number few that find and take it. To be a Christian is to choose to be a minority going the opposite way. How courageous would an established church need to be to reflect the teaching and practice of Jesus, and still remain a state Church? So is there a solution to how Charles will be crowned? Paradoxically, every year that passes stretches the legitimacy of Christian monarchy thinner and thinner in the face of the growth of Islamic political and cultural influence and the freneticism of the those who parrot ‘unequal and unfair’ at the moment of every choice between two opposing values. Those who love or admire the Christian Monarchy are faced with the paradox that the longer Elizabeth II remains on the Throne, the harder will be the justification for a Christian coronation for Charles III (or George VII, or whatever regnal name he takes), as both secularism and Islam gather pace. But the coronation of Charles is both an end in itself and also a symptom. If the Monarchy is to survive it needs to be Christian. If it is to be Christian it needs to be so as part of a struggle waged in the public space both to defend and allow the expression of Christian values. The fundamentalist dogma of ‘Equality’ will destroy the Christian Monarchy quite as effectively as it shuts down Christian witness in the public space. Every nurse who is sacked for praying with a patient; every baker who is prosecuted for refusing to merchandise homosexual propaganda against their conscience; every café that is visited by the police for showing the New Testament on video screens; every preacher prosecuted for complaining that Islamic violence like every other form of violence is evil; every university that ‘no platforms’ a speaker who offends snowflake gender values; every school that closes down a speaker like the gay, anti-feminist, Catholic blogger Milo Yiannopoulos; every time the Home Office refuse visas to Christian bishops from abroad, undermines the legitimacy and the possibility of a Christian monarchy. If the Church of England wants to avoid being disestablished; if it wants to fight for a Christian anointing for Charles III (or George VII), it had better start defending in the public space the Christian values it believes in and upon which its existence is predicated. It had better take the fight to the anti-Christian ‘equality’ agenda, through its schools, through the bishops in the House of Lords, through Christian MPs, through an energetic lay outcry, now, before it is too late.